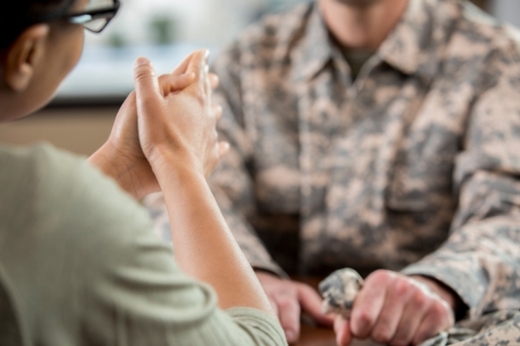 According to investigators, the study is the first to compare the effectiveness of psychotherapy and medications in veterans with PTSD. In a study among United States combat veterans, researchers found no significant difference between two of the most common treatments for post-traumatic stress disorder (PTSD) and no benefit for combination treatment. The study results are published in the Dec. 5 online issue of the Journal of the American Association (JAMA) Psychiatry. The head-to-head randomized clinical trial was conducted between 2012 and 2016 by researchers at four sites: Ralph H. Johnson Veterans Affairs (VA) Medical Center, VA Ann Arbor Healthcare System, Massachusetts General Hospital and VA San Diego Healthcare System. It was led by principal investigator Sheila Rauch, PhD, associate professor in the Department of Psychiatry and Behavioral Sciences at the Emory University School of Medicine. According to the American Psychological Association, prolonged exposure therapy is a psychological treatment that helps people confront their fears - approach fear instead of avoiding it. Clinicians create a safe environment in which to “expose” individuals to the things they fear and avoid. This study is supported by the following DOD and NIH grants: U.S. Department of Defense through the U.S. Army Medical Research and Materiel Command (MRMC), Randomized Controlled Trial of Sertraline, Prolonged Exposure Therapy, and Their Combination in OEF/OIF Combat Veterans with PTSD, Award #W81XWH-11-1-0073; the National Center for Advancing Translational Sciences of the National Institutes of Health (Award #UL1TR000433).